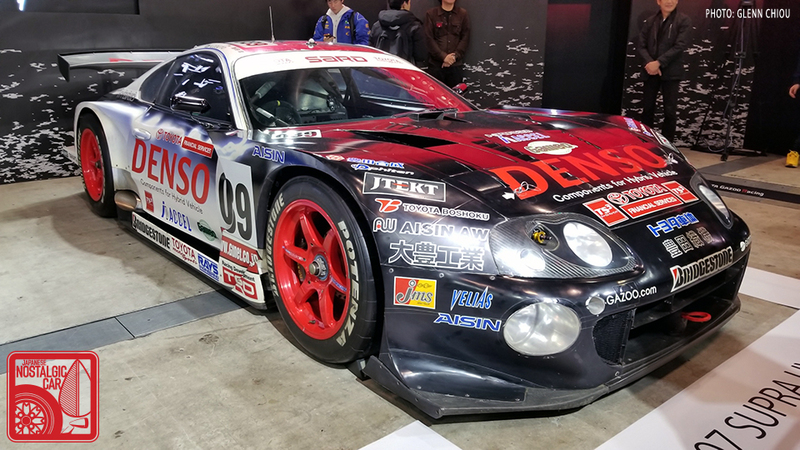 If you’re sick of all the A90 news, here are some true, Toyota-built Supras to soothe your nerves. The Tokyo Auto Salon took place last weekend, just a day before Toyota chose to reveal the production 2020 Supra at the Detroit Auto Show. 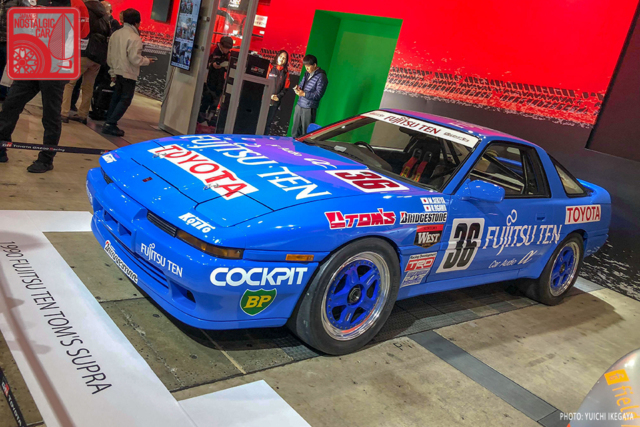 Of course, Toyota still teased the A90 at TAS, but it also brought along some of its predecessors. The star of the lineup was the Fujitsu Ten TOM’s A70, which ran in Group A in the Japanese Touring Car Championships in the late 1980s. 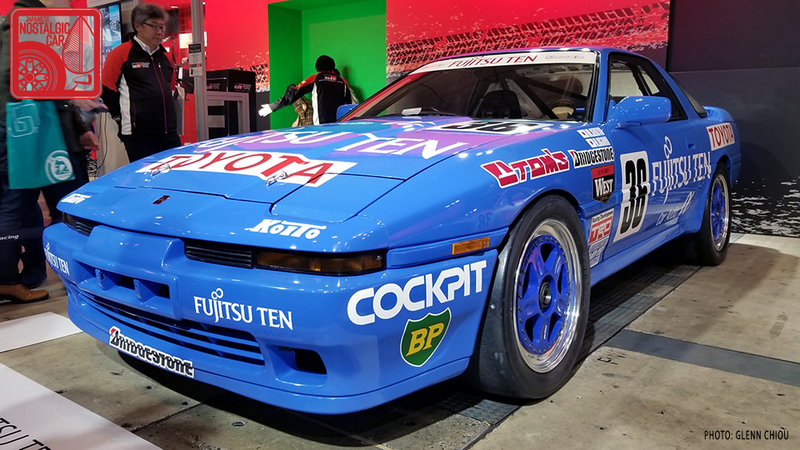 When the A70 began racing, it wore a white and blue Minolta livery, but in 1989 the teams switched to the blue Fujitsu Ten TOM’s livery you see here. 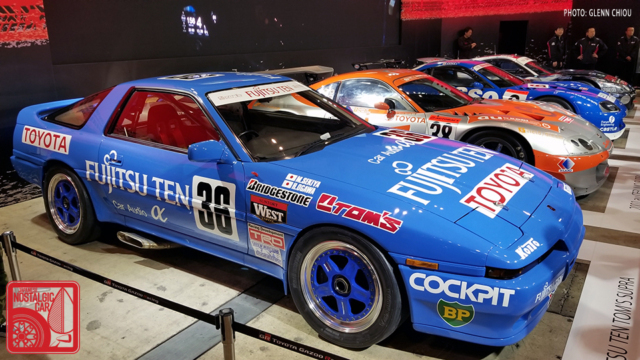 The Supra came out strong, winning its debut race in 1987 at Sportsland Sugo. 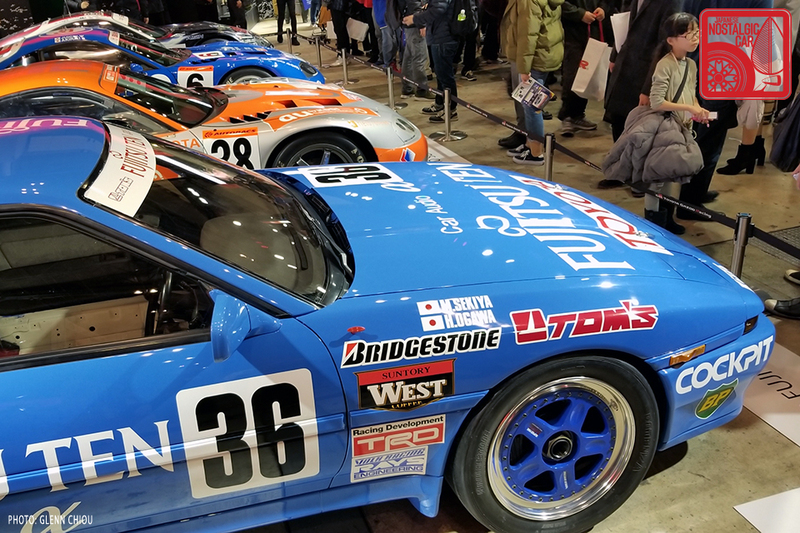 However, despite a few podium finishes, it didn’t see much success beyond its debut. 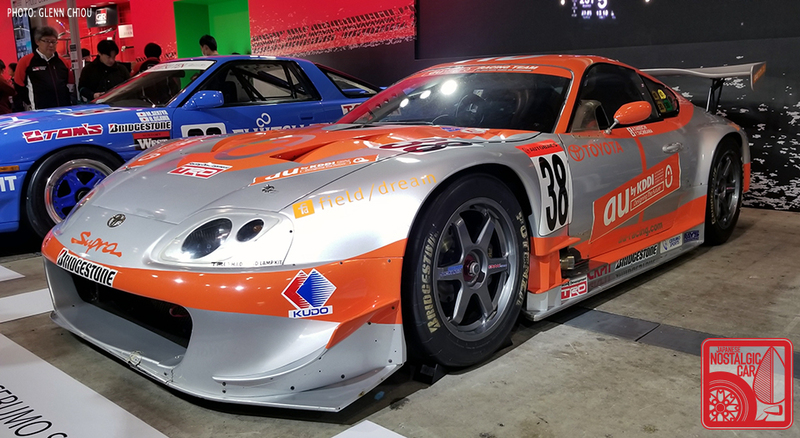 The number 36 car, driven by Makoto Sekiya and Hitoshi Ogawa, placed second several times throughout its career. 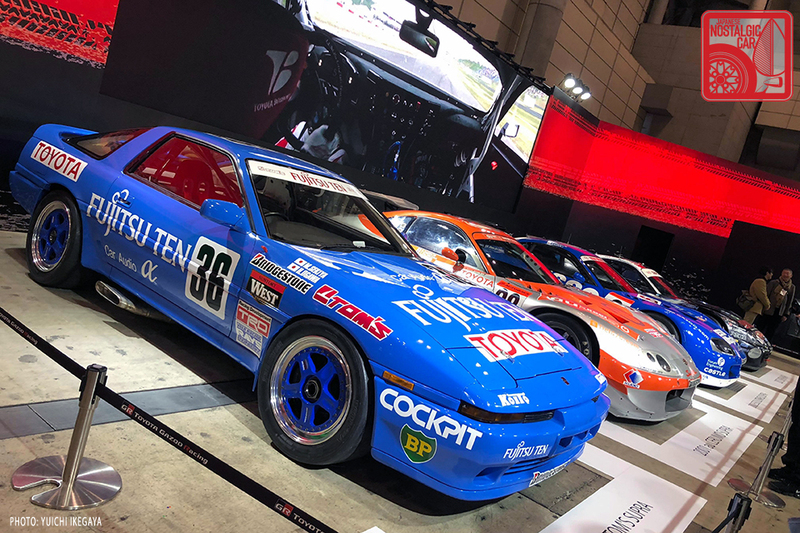 The A70s were repeatedly outrun by the R31 Nissan Skyline GTS-R and, later, the unbeatable R32 Skyline GT-R. Still, it hails from a bygone era in Japanese touring car racing when race cars where still very closely related to road cars. These A70s were based on the Supra Turbo A, a homologation special limited to just 500 units. It was one of the most exciting eras of Japanese motorsports, one that had cool liveries to boot. 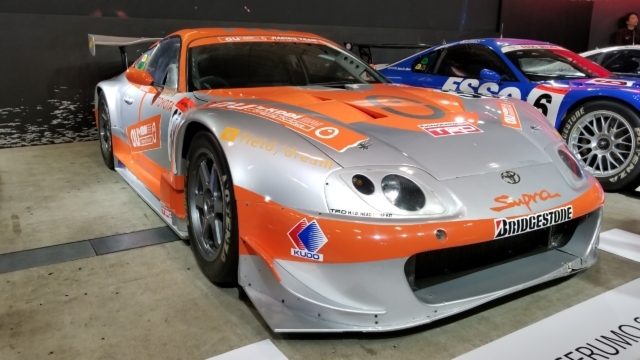 In fact, Toyota brought a whole lineup of racing Supras, including the 2001 au Cerumo JGTC car. Driven by Yuji Tachikawa, once called the “fastest man in GT.” With co-driver Takeichi Hirokiri, the duo won the drivers championship in their silver and orange Supra that year. 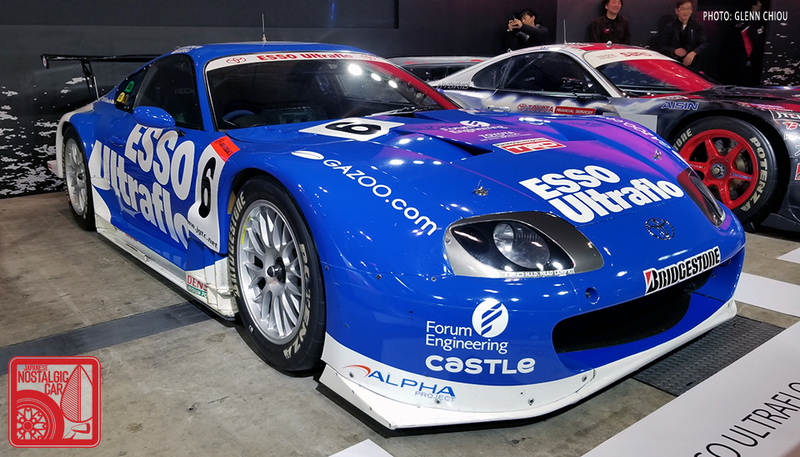 The following year, the Esso UltraFlo Supra repeated the achievement with another drivers championship. This time, it was Akira Iida and Juichi Wakisaka. 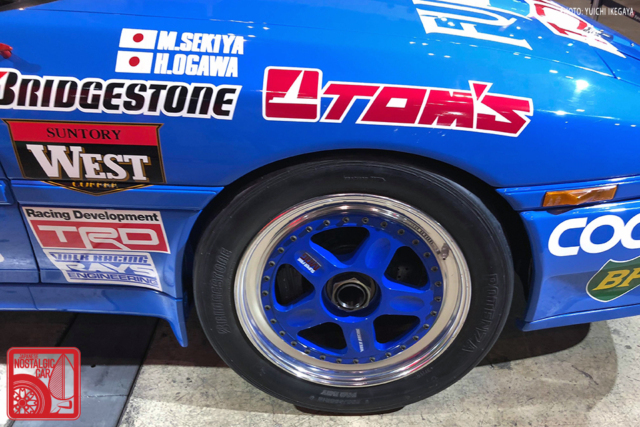 You may remember the latter name from when Ricky posted about his recent acquisition of a mint Supra RZ 6-speed. 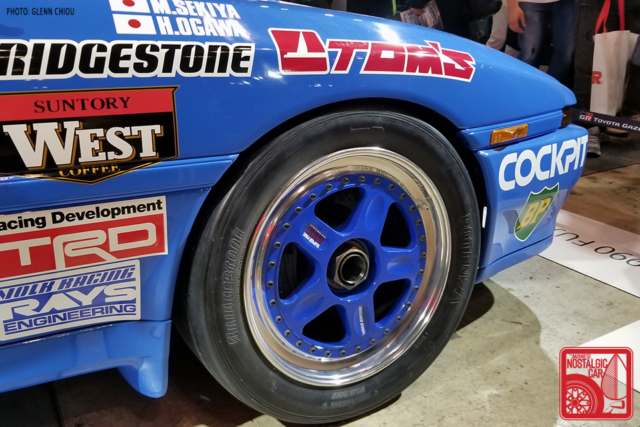 The Supra he bought was a final year 2002 model, the same year he won his championship. 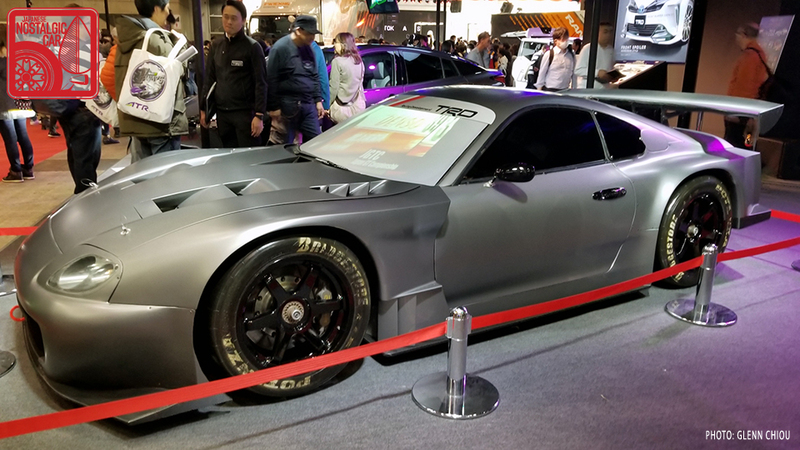 A few hours after his purchase, the new Supra race car debuted in Geneva. Clearly, Wakisaka was not fazed by the A90. 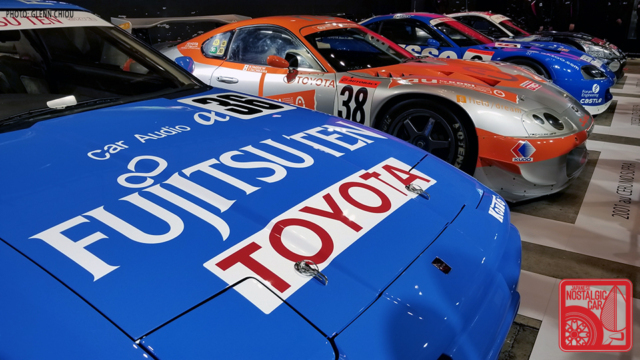 There are more JGTC Supras that Toyota could have brought, but for its final slot it chose to display the 2007 Supra HV-R. As you may remember from Ryan’s 25 Year Club story about the Supra, the hybrid AWD racer became the first hybrid gasoline-electric race car to take home a win in the history of automobile racing when it took first place at the Tokachi 24 Hours in 2007. 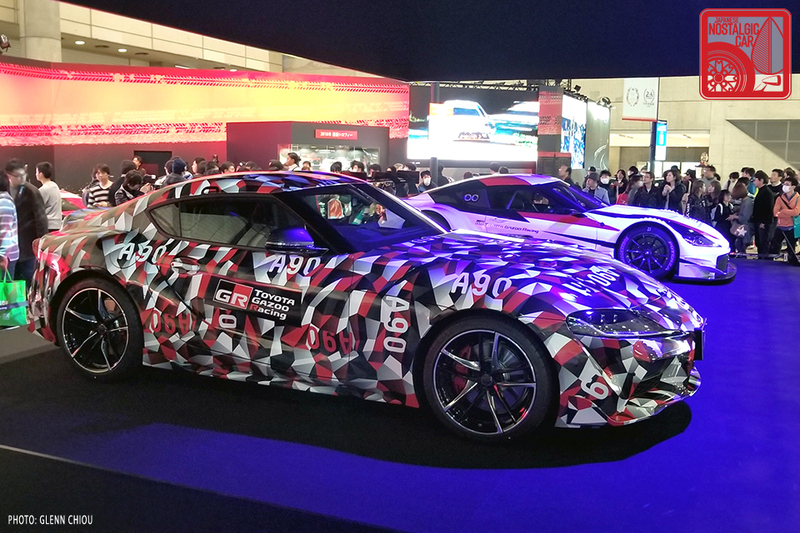 The A90 Supra on display was still camouflaged, since this was just a day before the Detroit unveiling. However, the reason Toyota brought out its touring car Supra lineup was to show the new A90 SuperGT body. It replaces the current Lexus LC body at the end of this season, marking the first time a Supra, NSX and GT-R will battle it out in Japanese touring car racing since 2002. It’s not known what will power the SuperGT Supra yet, but as most know the cars don’t share the same engines as production cars. The current Lexus LC runs a Toyota-developed turbocharged 2.0-liter four-cylinder, and that could continue with the Supra. 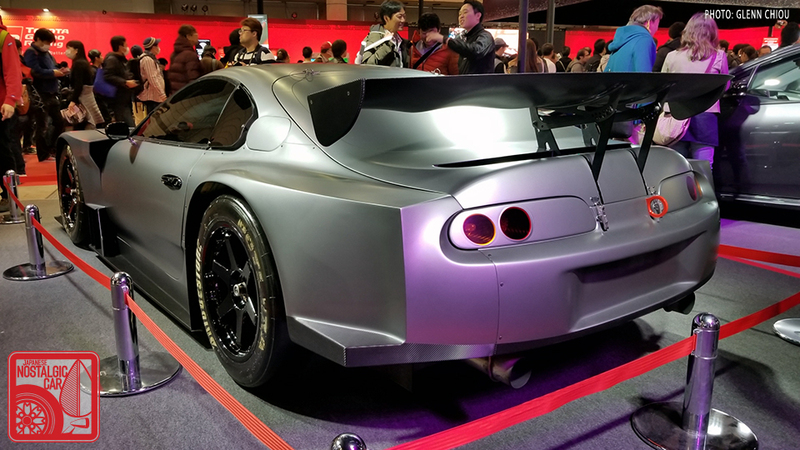 That could would make the SuperGT car perhaps the “most Toyota” A90 Supra on earth, as the production car will run BMW underpinnings and powertrains. 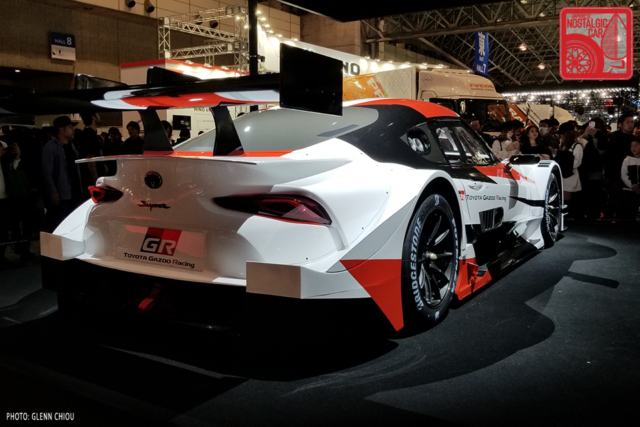 Then again, with SuperGT merging with DTM for 2020, that could all change. 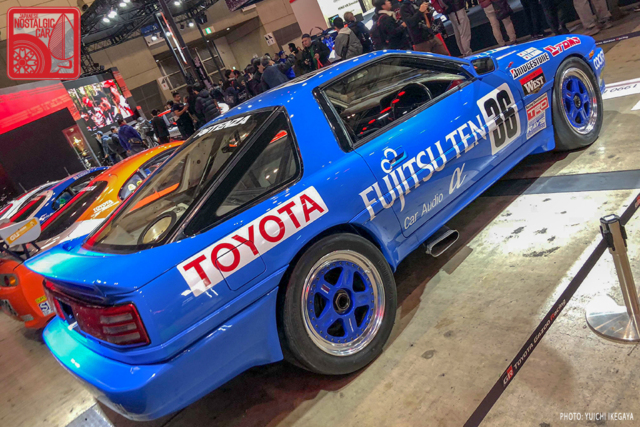 tagged: a70, A80, A90, JGTC, juichi wakisaka, SuperGT, supra, tokyo auto salon, toyota. Can we start a change.org campaign to get Toyota to use Toyota engines and build their own sports cars again? 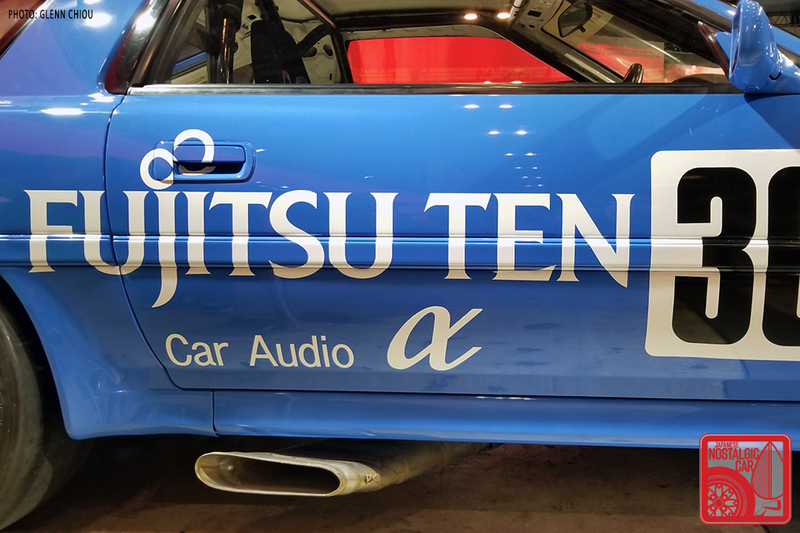 I do somewhat like the new one (not that I can afford it)…but it also just feels like a missed opportunity…and a bit German.